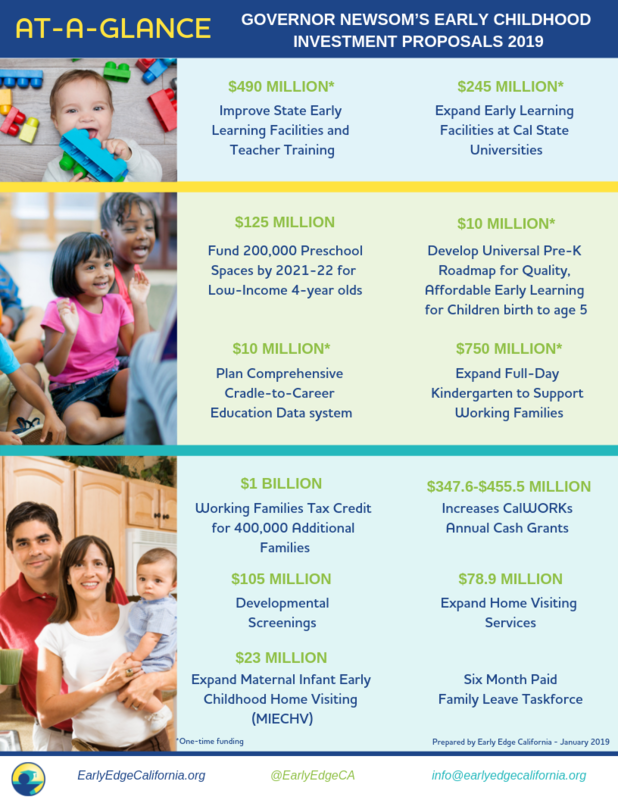 Governor Newsom’s budget proposal invests close to $2.4 billion in early childhood programs including key areas that will improve access to quality Early Learning for California’s working families. The budget also proposes to increase state investment in training for Early Learning teachers, and to expand the availability of full-day Pre-K for all low-income four-year-olds. Let Governor Newsom know that you support putting children and families first. Investing in high-quality Early Learning programs has lifelong benefits for children and helps working families get ahead by enabling parents to access job and educational opportunities. Everybody wins! Submit your comments here.